It’s been almost a year since I visited Nepal. That’s far too long for me to have a cache of unshared photos from that wonderful country, so I’ll try to rectify that over the next little while. The highlight of the trip was standing with the Himalayas towering overhead. 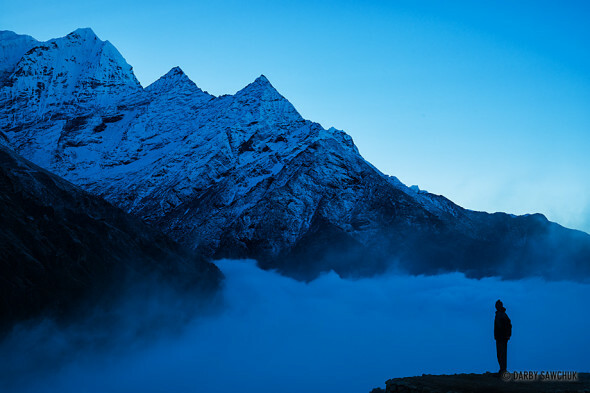 For this photo, I woke before dawn and hiked up from Namche Bazaar to a lookout point where I could watch the clouds roll up from the valley below. About a minute after taking this photo, I was enveloped in grey and couldn’t see a thing.